If you're in the market for a new dive watch, you may want to check out Suunto. It's offering "special pricing" for some of its dive watches. Looks like Guillaume Nery isn't the only prominent freediver to recently attach himself to a high-end watch company. Umberto Pelizzari is getting into the game, too. Panerai will be unveiling a new, high-end waterproof dive watch next month named for champion freediver Guillaume Nery.  While taking in DEMA 2018, DeeperBlue.com was lucky enough to catch up with Dean Martin over at AquaLung to see some great products highlighted at this year's show. If you're into high-end dive watches (whether just to ogle or to actually buy and use), you'll probably want to check out BALL Watch Co.'s latest offering. There's a new, high-end dive watch that's undergoing a crowdfunding campaign to get it to market. The folks at BALL Watch Co. have teamed up with champion freediver Guillaume Néry to offer the new, limited-edition Engineer Master II Diver series.